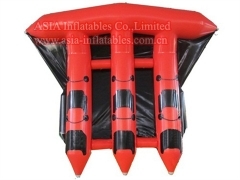 Inflatable Flying Fish Boat is suitable for Water Sports, which is applicable fashion used on the beach sports. Also It can be drawing or digital printing for your logos, bring you an exciting pleasure. 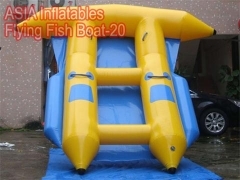 Listed Inflatable Flying Fish Boats All are made from Material High durability fire-retardant 28 OZ PVC Tarpaulin, which has 3 layers. 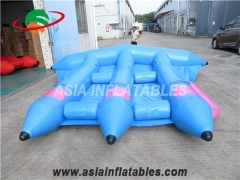 Two coated side with a strong net inside. 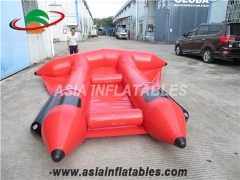 The flame retardant meet BS7837. 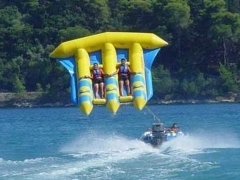 UV Protect, sea water protects. 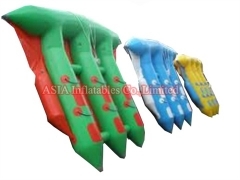 The colors, designs, sizes , etc all can be customized. Q1. 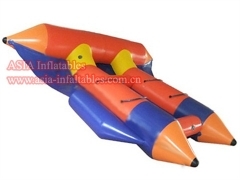 Where can inflatable flying fish boat be used?